"I had the pleasure of working with London based Design Agency, Resolution Creative, when they provided online marketing and website management services for the Bermondsey Square Hotel and No. Ten Manchester Street. Resolution are always incredibly fun to work with, even when asked to deliver on tight turn arounds for projects and campaigns. As a team they are very knowledgeable of the digital space, creative and an excellent communicator at all levels. I wouldn't hesitate to recommend Resolution Creative and their services to anyone looking for professional and personable online marketing supplier." "We have worked with Resolution Creative on a number of different projects from website design to graphic design, branding projects and various other marketing initiatives and they have never let us down. They always comes in on time, on budget and go the extra mile to make sure the job is done to the highest standard. The service we have received is very personable, enthusiastic and conscientious and always understands the client's needs and sensitivities." "On time, on budget and with excellent communication, Resolution are a design agency that delivers quality work on each project thay have worked on for me. They're organised, reliable, proactive and a real pleasure to work with." "Resolution Creative are our preferred design agency and have become part of our marketing team, presenting imaginative solutions to our briefs….reflect our business values in both internal and external collateral always guiding with solid advise …superb team"
"Resolution Creative have always offered creative ideas backed up with a very high technical ability to make those ideas work in practice. They have managed to not only create websites that are eye-catchy and easy to use but also to build a brand that exerts style, quality and sophistication." "Resolution Creative provides a very professional design service. They're a thoroughly reliable design agency, professional and highly knowledgeable in all areas of design and print." Keep up to date with latest industry developments, client news and other interesting web design and development stuff from the Resolution team. 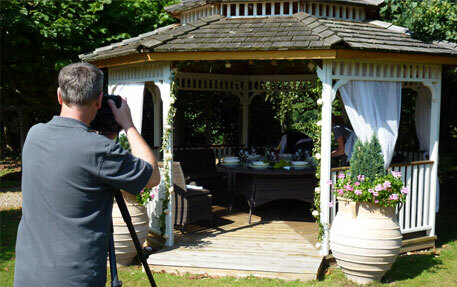 Regatta Garden Furniture's Rattan Garden Furniture website has seen over 500% increase in sales over the last nine months, however with the new addition of the Kensington Deluxe Range the enforcement of Regatta's foot-stead as an online trader can only be increased. Last week Resolution were witness to these new and exciting additions during the photoshoot of the latest products for the 2012 catalogue along with the presentation of UK sole distributor rights to these superb products. Following the development of the new online presence for Impossible Pictures in March 2011, organic traffic has more than double... by 243%. IT'S LIVE!!! The new online presence for The Association of Business Mentors has joined the digital revolution! With the purpose to create a portal to find vetted and approved business mentors online and additionally allowing thousands of people that work in mentoring arena access to essential resources. It is packed with industry news, articles and case studies on theory and best practice.